The pi-top is an all-in-one kit designed to let you build a laptop out of a Raspberry Pi at home. At $300 (£201 excluding shipping) (including a Pi 2), it’s actually around the same price as a cheapo Windows or Chrome machine — but unlike those, the idea of pi-top is to be a playground for wannabe computer engineers and designers. The idea started on Indiegogo, and following a successful campaign, the product is up for pre-order, and should be ready to ship in June. All the components needed ship unassembled, so the first learning step is assembling the chassis, micro-computer, screen and power supply to create a functioning computer. Then, you’ve got to learn how to make the most out of the limited resources on the Raspberry Pi itself. 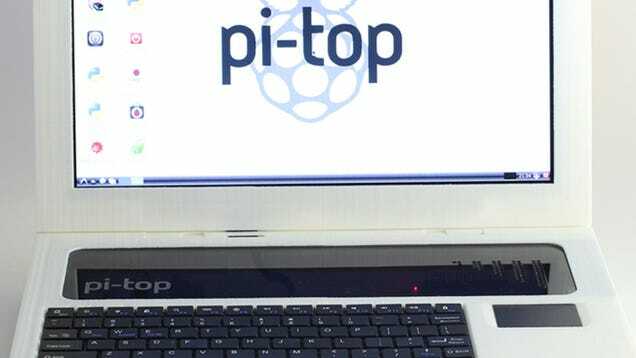 The hope is that, with easy access to the electronics inside the pi-top, people will be encouraged to mod and improve on the original design.